By Lin Jiabin & Wang Jicheng DRC Task Force on "Issues Facing Small and Medium-sized Enterprises: Countermeasures under New Circumstances"
Small and medium-sized enterprises are large in number, with the majority being labor-intensive ones and the number of employees accounting for about 80% of the urban total population. Therefore, the harmonious labor relations in those enterprises and the well-managed social security programs for the employees are of vital importance to the maintenance of social stability and the construction of a harmonious society. Meanwhile, reasonably increasing the income of the employees of small and medium-sized enterprises is also an important part for bridging the income gap, improving the income distribution and thus promoting social justice. In recent years, China has made arduous efforts in constructing harmonious labor relations and enhancing the social security programs and has achieved remarkable success. The Labor Contract Law came into effect on January 1, 2008, becoming a legal basis for defining the rights and obligations of both parties related to labor contract and for protecting the lawful rights and interests of workers. The framework for the social insurance system composed of basic endowment, work-related injury, childbirth, medical care and unemployment has been set up, and the Social Insurance Law, as a basic law of social insurance, had also been reviewed by the National People's Congress in October 2010 and became effective on July 1, 2011. The Social Insurance Law has clarified such important issues as the social insurance rights of workers and citizens, the responsibility-sharing mechanism for social insurance, the institutional framework, the operation-based supervision mechanisms and the legal responsibilities, suggesting that China's social security system has entered the stage of standardized development. Nevertheless, new circumstances are now facing the employment by small and medium-sized enterprises and the social security system. A great number of major issues still remain to be addressed promptly. 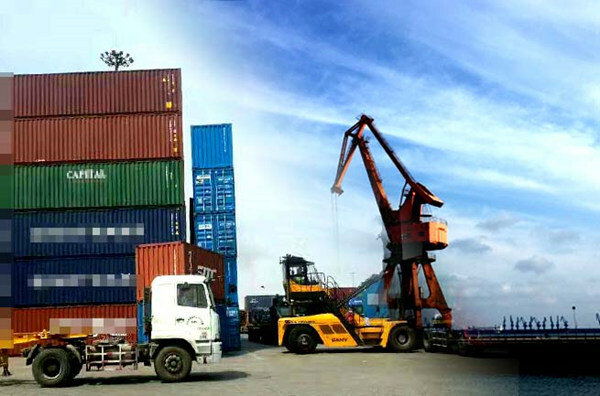 The difficulty in recruiting and retaining workers by small and medium-sized enterprises was mostly heard about by DRC task force when they made field survey in Jiangsu, Zhejiang, Guangdong, Sichuan and Hubei provinces. Data provided by the Department for Small and Medium-sized Enterprises of the Ministry of Industry and Information Technology have indicated that since 2010 the number of workers in most labor-intensive-based traditional industries in Zhejiang has registered a shortage of more than 20%, the number of workers in technology-based equipment manufacturing industry has witnessed a shortage of over 15%, while technology-oriented enterprises have also much difficulty in bringing in and retaining the talented personnel. According to the judgment made by DRC task force on the analysis of economic performance, the labor shortage has currently become an overall and long-term phenomenon in China. The labor shortage started since the latter half of 2003 except for a short period around the Spring Festival (the Lunar New Year in China) in 2009, yet it reappeared more drastically in the latter half of 2009. The continuous rapid economic growth, the aging population, the upgraded demand and the reducing regional income gap have all made the labor shortage a common issue. In 2010, information on market supply and demand provided by public employment service institutions in 116 cities nationwide suggests1 that the employing units in cities under survey recruited an accumulative total of 23.36 million people for various jobs during the whole year and the number of job seekers on the market reached an accumulative total of 23.17 million, with total labor demand slightly surpassing labor supply and the ratio of job vacancy to job seekers standing at 1.01. The overall balance between supply and demand conflicts with the difficulty in recruiting and retaining workers voiced by various parties. Therefore, the possibility cannot be ruled out that quite a number of workers have been recruited beyond the public employment service institutions. It can be seen from the changes that since 2001 the job demand and the number of job seekers on the market have kept going up on the whole and the labor demand has been growing faster than the increase of job seekers. Since 2004, in particular, the ratio of job vacancy to job seekers on the market has always remained at more than 0.9. Despite the downturn between 2008 and 2009 due to the influence of the financial crisis, the ratio reached 1.01 in 2010, showing an obvious upward trend. By industry, the industrial demand pattern dominated by the tertiary industry has remained stable as a whole. By trends, the proportion of employment demand by the tertiary industry has shown a downward trend and the proportion of employment demand by the secondary industry has been going up steadily. 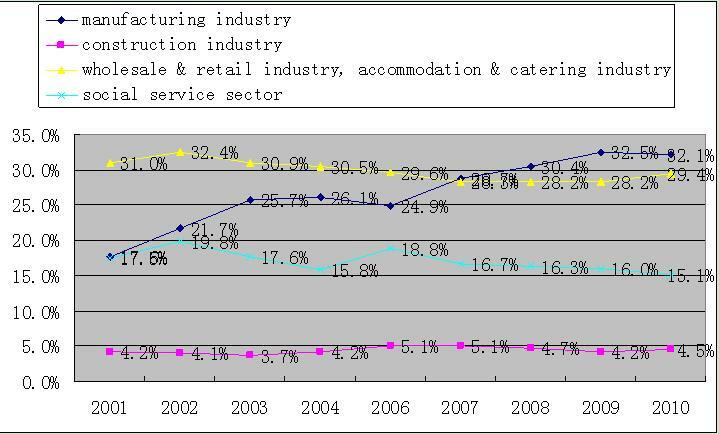 By trades and professions, the manufacturing industry show a robust demand which is on the constant increase, and the proportion of employment demand by wholesale and retail industry, accommodation and catering industry and the social service sector has shown a downward trend. 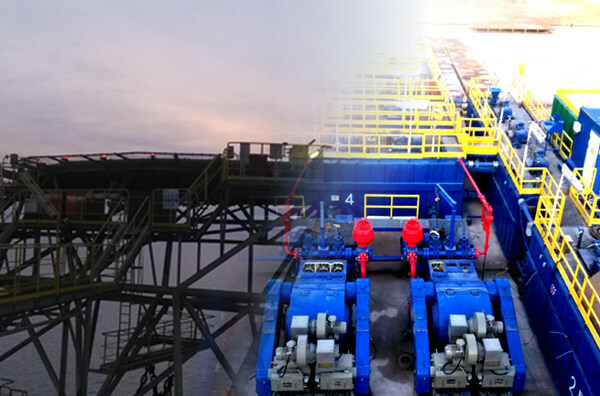 It is held that the labor shortage marks the great changes taking place in supply-demand situation on the labor market, forming a pattern of absolute labor redundancy turning into the coexistence of aggregate redundancy and structural shortage and the difficulty in recruiting workers and getting employed. In terms of the gross total, the number of laborers who need jobs is estimated to reach more than 25 million each year2. In addition, there have been about 70 million to 120 million redundant laborers in rural areas. In terms of the structure, although labor shortage has become an overall and long-term issue, the job seekers in urban areas still have difficulty in finding jobs. The number of people who have signed up for unemployment has remained steadily at more than 13 million3. It is still difficult for university graduates to find jobs. The number of university graduates who got employed was even lower in 2010 than in previous years when there was a labor shortage in that year. All these facts suggest that imbalanced structural and frictional job straits between job demand and supply still exist among some social groups when labor shortage took place. On the whole, salaries of employees of small and medium-sized enterprises have increased considerably in recent two years. According to the survey results made by DRC task force, proprietors of most small and medium-sized enterprises in Jiangsu, Zhejiang and Guangdong revealed that workers' wages have increased by about 15% in each of the recent two years. The labor cost paid by small and medium-sized enterprises in Liaoning Province increased by 8.4% in 2010. The minimum pay in Tianjin increased from 590 yuan at the end of the 10th Five-Year Plan period to 920 yuan in 2010, up by an annual average of 11.2%. In addition, the "Questionnaire-based Follow-up Survey of China's Private Entrepreneurs in 2010" conducted by China Entrepreneurs Survey System indicates that, for the question of "major difficulties encountered by the enterprise in its management and development", most enterprises chose "the rise of labor cost" for the answer, making up 73%, up by 11.7 percentage points as compared to 2009 and ranking first among all 16 options. The reason why salary has increased is on one hand related to the rise of the minimum pay in all provinces and on the other hand is linked with the great changes in labor supply-demand situation and with the fact that small and medium-sized enterprises have to make wage increase in order to recruit and retain workers. Even so, workers' wages of small and medium-sized enterprises have remained low on the whole. Take for example the private enterprises, most of which are small enterprises. 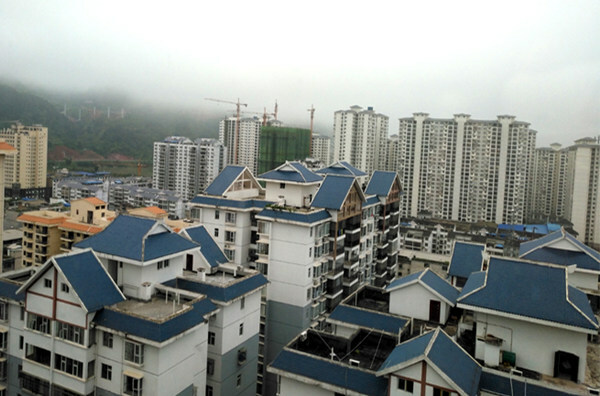 In 2010, the average wage of employees of urban private units nationwide amounted to 20,759 yuan, being only equivalent to 55.9% of that of employees of urban non-private units, down 2.5 percentage points as compared with 2008.